The biggest event in football is almost upon us, and fans everywhere are getting ready. Couches and big-screen TVs are being positioned perfectly in living rooms, and party plans are being finalized. And when families and friends finally gather to watch the season-ending game, the million-dollar commercials, and the halftime show, they will also feast on snacks. Lots of snacks. and $71 million on cheese snacks.Not only is that a massive chunk of money, but it’s also a ton of calories. To help you stretch some dollars – without stretching your pants – Physical Health and Wellness experts at Wounded Warrior Project® (WWP) are sharing some of their favorite homemade snacks. Buying fresh, individual ingredients and making items yourself can save you money in the long run. And it’s typically healthier – just like these recipes. Best of all, these snack ideas are the right kind of healthy – they will be good to your waistline without your friends and relatives accusing you of ruining the party. Remember the wise words of Homer Simpson – you don’t win friends with salad. Preheat the oven to 400 degrees. Line a large baking tray with aluminum foil, placing the wings onto the tray. Cook for 35 minutes, or until the wings get crispy. Stir the garlic puree into the soy sauce and honey in a pot and heat until hot. Stir continually to get the garlic flavor consistent. Once the sauce is as you like it, set aside. 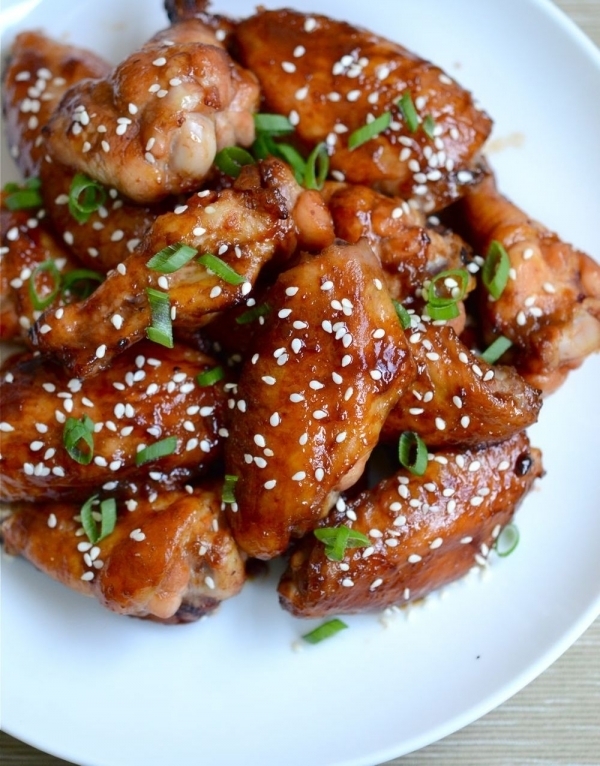 When the wings are ready, place them in a large container or bowl with the honey garlic sauce. Shake/stir until the wings are coated with sauce. You can garnish with sesame seeds if you like. Cut the avocados in half and remove the pits. Leave the avocado inside the skin as you make diced-like cuts. Scoop the avocado out with a spoon into a bowl. Add the onions, salt, jalapenos, lime juice, mango, and tomatoes and stir gently to combine. Stir in the cilantro. Smash up the mixture, until it reaches the desired texture – some like it smooth, some like it chunky. You decide! Chill it, serve it, and enjoy it! Combine raw chicken, hot sauce, and cream cheese in a slow cooker on low for 4 hours. Shred chicken and add blue cheese crumbles and yogurt. Then cook on high for 45 minutes. Serve on warm setting with carrots for dipping. Pour into a dish or bowl, and cover and refrigerate for 8 hours. Serve with sliced apples, strawberries, or crackers.